Lambasted by pundits but loved by the public, On the Buses was one of the most successful television sitcoms of the 1970s, spawning seven seasons, a spin-off series, three feature films, a stage play – Busman’s Holiday at the Pavilion, Torquay in 1973 – and a board game. In an era marked by growing industrial discontent, much of its appeal lay in the perpetual workplace battle between Stephen Lewis’s Inspector Blake – a lanky scowl of a man, all horn-rimmed glasses, bristling Hitler moustache and scolding clipboard – and work-shy driver Stan and clippie Jack (played by Reg Varney and Bob Grant) in an East End bus depot. Created by Ronald Wolfe and Ronald Chesney, the show ran for 74 episodes from 1969-73 and made Lewis a star, complete with his own catchphrase – “I ’ate you, Butler!” It also gave him his own sitcom – Don’t Drink the Water – in which Blake, now retired, moved to Spain with his spinster sister, the eternally jittery Pat Coombs. Lewis’s fame seemed all the more peculiar for being so accidental. Born in Poplar, east London, he was a merchant seaman when he began attending workshops at the Theatre Royal Stratford East. Spotted by Joan Littlewood, he became a prominent member of Theatre Workshop as both an actor (initially as Stephen Cato) and a writer. His first play, Sparrers Can’t Sing (1960) was an early hit for the company, transferring to the Wyndham’s Theatre (1961) and subsequently filmed in 1963, the same year he appeared in the premiere of Oh! What a Lovely War. In 1972, it was reworked as a musical, The Londoners, with a score by Lionel Bart. 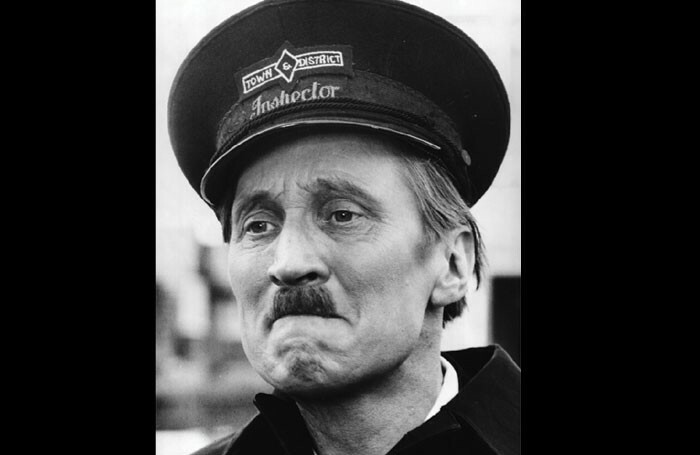 Nothing he wrote afterwards, including several more plays for Stratford, and contributions to ITV’s Armchair Theatre, the BBC’s Comedy Playhouse, and episodes of On the Buses matched the success of his debut. His acting career proved more sustainable. Notable appearances at Stratford included Mrs Wilson’s Diary – a lampoon on life in Downing Street based on Richard Ingram and John Wells’ Private Eye column – that transferred to the Criterion Theatre (1967), and Trixie and Baba by John Antrobus at the Royal Court (1968). In 1974, he appeared alongside Jack Hulbert and Cicely Courtneidge in a tour of Don’t Utter a Note, and with Irene Handl and Liz Fraser in One of the Family in Southsea in 1976. More substantial fare was to follow with Lewis proving his mettle in drama in Brian Friel’s Faith Healer (Royal Court, 1981), a revival of The Ghost Train (Theatre Royal, Plymouth, 1985) and The Gin Game, a two-hander with Mary Wimbush (West Cliff Theatre, Clacton, 1986). He enjoyed a fruitful spell with the Young Vic in the early 1980s, where his roles included Mr Biggs (Our Day Out), Lepidus (Antony and Cleopatra), Malvolio (Twelfth Night) and a notable Davies in The Caretaker. Stephen Lewis was born on December 17, 1926 and died on August 12, aged 88. Dear West End Producer: Is it important for actors to have a social media presence?